When most people refer to "yoga," they are more than likely referring to Hatha Yoga. Hatha Yoga is a system of yoga introduced by Yogi Swatmarama, a yogic sage in the 15th century in India. It is the most popular form of yoga and the one from which many other forms of yoga have been derived. Hatha Yoga is designed to achieve balance between body and mind as well as attempts to free the more subtle spiritual elements of the mind through Asanas (poses), breathing techniques, and meditation. Asanas are various body positions designed to improve health and remove diseases in the body. They were originally meant for meditation, as the postures can make you feel relaxed for a long period of time. The regular practice of Asanas is reported to increase muscle flexibility and bone strength as well as provide non-physical rewards such as the development of will power, concentration, and self-withdrawal. Pranayama is the science of breath control. This is an important part of Hatha Yoga because the yogis believed that the secret to controlling one's mind could be unlocked by controlling one's breath. It’s also supposed to help release the dormant energies inside our bodies. Some Hatha yoga poses are supposed to help massage and tone your internal organs, helping to prevent diseases such as diabetes, arthritis, and hypertension. They are also intended to bring balance to internal and glandular functions. Pranayama, on the other hand, can help manage asthma and bronchitis. Hatha Yoga is also designed to help you cope with stress, relieve tension, deal with anxiety and depression. Yoga has been shown to help people with bipolar disorder as well. A recently published article in the Journal of Psychiatric Practice, has reported the survey responses gathered from scores of people with bipolar disorder who practice yoga. What the collective testimony suggests is that yoga can be a substantial help, but it sometimes carries risks, too. Lead author on the study, associate research professor of psychiatry and human behavior in the Alpert Medical School of Brown University and a staff psychologist at Butler Hospital, Lisa Uebelacker explains, "There is no scientific literature on hatha yoga for bipolar disorder. There is reason to think that there are ways in which it might be wonderful and ways in which it might not be safe. We are interested in studying hatha yoga for bipolar as an adjunctive treatment to pharmacotherapy." More than 70 people answered the study's online survey and the vast majority believed that yoga had benefits for people with bipolar disorder. When asked, "What impact do you think yoga has on your life?" more often than not, the responses were positive. About one out of every five respondents described yoga as "life changing." One even said, "Yoga has saved my life. ... I might not be alive today were it not for yoga." 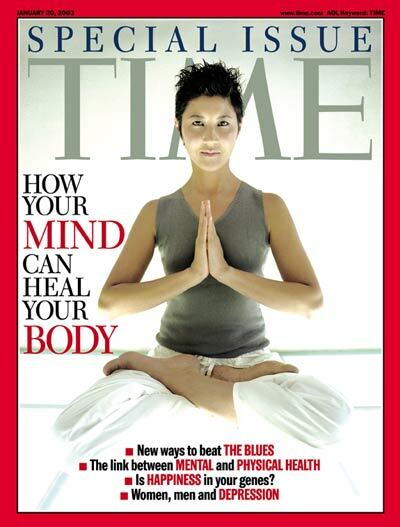 Twenty-nine others described yoga as anxiety reducing, promoted calm, or provided other emotional benefits. When asked how yoga affected their mania symptoms, 23 survey respondents mentioned calm as a specific benefit. Other benefits that were consistently mentioned included distraction from depressive thoughts and increased clarity of thought. "There is clearly evidence that yoga seems to be a powerful practice for some individuals with BD," the researchers wrote in the paper. "It was striking that some of our respondents clearly believed that yoga had a major positive impact on their lives." Not everybody with Bipolar Disorder responded positively to the study, however. Five respondents cited cases in which rapid or energetic breathing made them feel agitated. Another became too relaxed after a slow, meditative practice: "I fell into a relaxed state ... near catatonic as my mind was depressed already. I was in bed for three days afterward." Furthermore, 11 respondents warned that there is the potential for physical injury or pain. Another four said they became self-critical or frustrated with their performance sometimes during yoga. Uebelacker says that, "It's possible that you want to avoid any extreme practice, such as extended periods of rapid breathing." In order for yoga to be successful, it has to be the right type for the right patient. Perhaps I’m just over-doing it. This online survey is merely the first step. Uebelacker, who has spent several years studying yoga for unipolar depression, and colleague Lauren Weinstock, an expert in bipolar disorder, are planning on running a pilot clinical trial. This trial will compare outcomes from yoga to outcomes derived from a well-regarded workbook for bipolar disorder in an effort to examine yoga for bipolar disorder. Those results could set the stage for a larger trial with enough statistical power to rigorously identify benefits and risks, Uebelacker said. She continued to explain that the current studies of yoga are part of a broader program to try and help people who are already undergoing conventional therapies. For many bipolar patients, symptoms persist for decades despite multiple medications. As their research continues, they will learn what role hatha yoga might play. "We're looking at alternative ways to cope with suffering that is part of people's everyday lives so that there are other options in addition to ongoing medication and psychotherapy" Uebelacker said. Conclusion: Yoga may be beneficial for some Bipolar patients, but it may be too extreme for others.